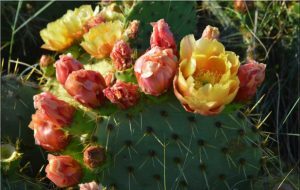 The prickly pear, harvested in Tunisia (Sbeïtla, Kasserine) is a precious fruit, no wonder that this cactus has made a place in the world of cosmetics. The oil of its fruits has multiple virtues moisturizing, antioxidant and therefore anti-aging. The wealth of its components explains its success: it is full of antioxidant vitamin E and essential fatty acids that nourish deeply and tone our skin. Cactus oil is also a great restorative, nourishing, it strengthens the hydrolipidic film and gives tone to your skin. It has a deep lift effect thanks to these omegas 3, 6, 7 and 9. Prickly pear seed oil is very rich in essential fatty acid including linoleic acid more than 68% and its vitamin E. It allows to stimulate ceramides. This oil is an exceptional ally to fight against skin aging. It will be used as a base by the largest cosmetic laboratories to create the most formidable lines of anti-aging. The oil is obtained by first cold pressing the seeds contained in the fig (Opuntia ficus indica). It takes almost a ton of figs to get 1 liter of oil from this cactus. 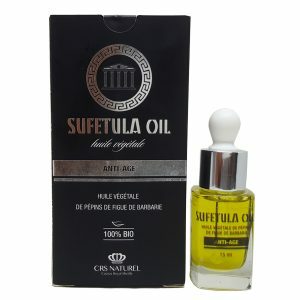 This oil is processed manually and mechanically (no heat is used) and filtered naturally without any treatment or refining operation. Following this process, we try to preserve the nutrients and benefits of the oil. Skin Care: A powerful antioxidant that slows cell aging, stimulates cell renewal and helps protect against free radicals. Anti-wrinkle: reduces the number and depth of fine lines and wrinkles as well as puffiness and dark circles under the eyes. Restructuring: healing, restorative, it has a positive effect on scars. Firming and provides a smoothing effect: it is an excellent tensor. Tighten the pores restores skin tone and firmness. Moisturizing, nourishing: its emollient action will soften and soften the skin deeply. Hair care: The oil also applies to the hair. She will feed them and hydrate them. Leaving the oil to act on the hair for a minimum of fifteen minutes Prickly pear oil is a dry oil and high quality, will not leave hair oily or sticky. The hair regains shine, shine, suppleness and softness. Nail care: Prickly pear oil can be applied as nail care: a regular massage of this oil on the nails helps fortify them and make them less brittle. In spring, we can admire the yellow flowers on the rackets. These flowers are carefully collected and dried. 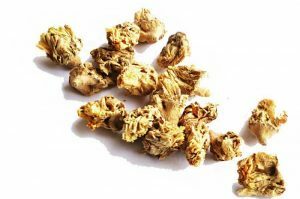 The dried flowers of the Prickly Pear are used in the Berber tradition, as an infusion to relieve gastrointestinal pain and prevent ulcers thanks to its anti-inflammatory properties. In macerate or lotion, they will be a very rich anti-aging cosmetic care. the seed meal of opuntia ficus indica: These are actually the seeds of the fig, the residue of which, once the extracted oil is crushed then dried to make a very fine flour. This whitish powder, which contains 16.5% protein and 48% fiber, can be used in agribusiness thanks to its high nutritional value: in baking, enrich soups. In cosmetics and thanks to its richness in essential fatty acids, sterols and vitamin E, this powder is used as an exfoliant, anti-aging and antioxidant. It is also used to produce a precious maceration. a powder that supports and accelerates the fight against diabetes. It is extracted from a plant (Opuntia ficus indica) which consists of 90% water. 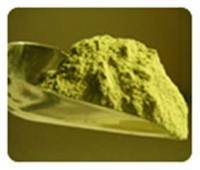 The powder of this plant contains minerals, trace elements and is especially rich in iron, calcium, vitamins and amino acids. The high percentage of dietary fiber, cellulose and pectin in this powder plays an important role, as these dietary fibers prevent the absorption of glucose, thus facilitating the digestion of foodstuffs and transforming them into energy. 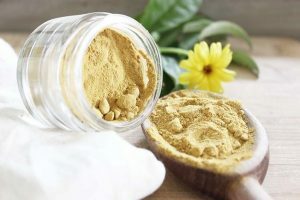 With a normal and reasonable diet, the improvement of the state of health is noticed already after a few days About diabetes, there are studies that prove that cactus powder can lower high blood sugar levels in patients with diabetes 1 and 2. Success is visible in insulin-dependent patients as well as others who live on a special diet. In addition to its benefits against the high level of cholesterol, the powder of the cactus has a very high nutritional value, it is at the same time depurative and a detox for the intestines.